The time has come for replacing the “zero sum game,” wherever it happened, with a “win-win” approach. Russia and the U.S. may still have lots of differences in too many matters, but one thing is clear – there is an absolute enemy for both countries as well as for the whole world, and that is global terrorism. In fighting this common enemy, all responsible nations should join hands whatever bilateral differences there might be. In the modern world, despite the fact that the Cold War has been over for more than 25 years, there is a clear inertia of the dualistic way of thinking inherent to the bipolar global order, which went into oblivion along with the Cold War. This is totally relevant when it comes to Russia's relationship with South Asia. The bipolar world order collapsed in early 1990s, while the unipolar one, which seemed to symbolise “the end of history” did not last for even 20 years. The situation today is totally different from the times of the Cold War and those of the unchallenged U.S. dominance in global affairs. But when it comes to perception, things do not seem to have changed much. Still, some politicians and political analysts tend to evaluate matters of global importance through their own lenses. This fully relates to the politics in the Great Eurasia and South Asia in particular. The times of the Cold War bore a famous formula for describing the relationship between the Soviet Union and India relationship, "Hindi–Russi – Bhai-Bhai." India was not a part of the Soviet bloc, more so, it was the recognised leader of the Non-Alignment Movement which proclaimed keeping a distance from both opposing blocs. At that time, it did not prevent both countries from looking at each other as true friends, if not allies. Looking back in retrospective, one might remember that the formula implied that one of the two brothers was elder, and probably this is not something that might suit India today. But after the collapse of the Soviet Union there has been no hint that Russia is going to abandon the spirit of the time-tested friendship with India. As for Pakistan, the case is not that simple. In the Cold War era, Pakistan was a reliable ally of the U.S., and as such, a bitter opponent of the Soviet policy in the region. And although the USSR and Pakistan managed to avoid direct military confrontation, the proxy wars happened more than once – 1971 in Bangladesh and 1980s in Afghanistan being the clearest examples. But time passes, and today's Pakistan is no longer the same country it was in the 1970s and 80s. Its relations with the U.S. have deteriorated, and today it should rather be looked upon as an ally of China than that of the U.S. It hardly changes much for India – China probably is as bitter (or even more) an adversary than the U.S. tended to be 30 to 40 years back. And so, what one might observe now is a global shift regarding the balance of power, which has not resulted (or resulted only in a slight way) in a shift of a mindset. Russia and India are developing a privileged strategic partnership, which does not prevent Russia from having similar relationship with China, or India from having China as its main trade partner. India has signed an agreement on strategic partnership with the U.S., which in no way hinders the Russian–Indian relationship. But whenever one speaks of Russia-Pakistan relations, it seems that a kind of blind is falling down blocking the vision of our Indian partners. Recently, this publication carried two excellent pieces on recent developments in Russian-Pakistani relations – one by Petr Topyckanov, the other by Vinay Shukla. Both dealt with recent military sales and growing cooperation between Russia and Pakistan in the military field. Without repeating what has already been said, I'd like just to point out a few matters. 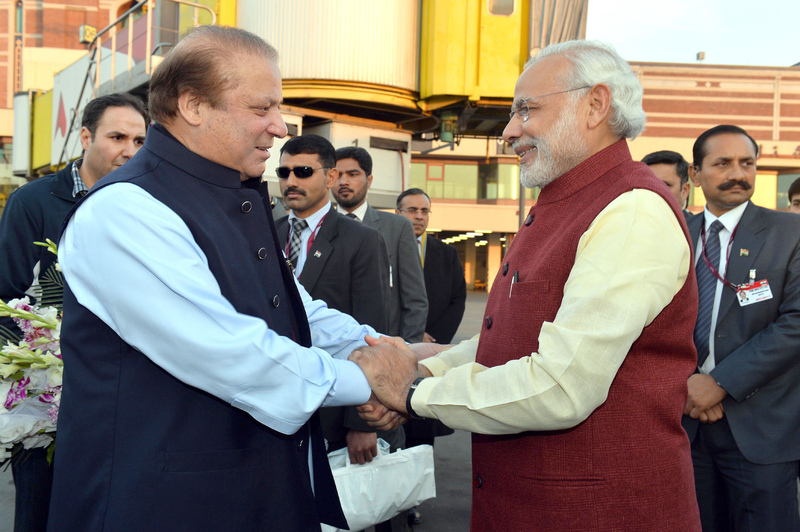 Yes, we fully understand the complexity of Indian-Pakistani relations. As for the most painful issue, that of Kashmir, Russia's stance has not changed – Moscow supports India's view that this is a bilateral issue, which is not to be internationalised. Russia is also totally aware of the fact that Pakistan is located in the centre of global terrorist networks which pose a threat for India as well as for Afghanistan, Central Asia and the whole of Eurasia, including Russia. At the same time, what is important to note, is the fact the Pakistan is also a victim of global terrorism striving hard to eradicate militant groups from its territory. In that sense, sales of combat helicopters to Pakistan or joint Russian-Pakistani military drills are targeting the common enemy – not just of the two countries, but of humanity as a whole. Surely, there have been attempts to exaggerate the scope of Russian-Pakistani military cooperation, and my friend Vinay Shukla has clearly shown who benefits from such attempts. Definitely, the four choppers will never change the military balance in the region in Pakistan's favour against India, but some media outlets would be eager to comment that this sale is just a first step, and supply of fighter jets and even anti-aircraft systems will follow soon. While the Russian military refused to have joint military drills with Pakistan in the disputed area of Kashmir, some media outlets went on falsely reporting that “Russia has recognised Pakistani sovereignty” over that land. One must always keep in mind that the time-tested Russian-Indian friendship is one of the most challenging factors for the forces striving to preserve the unipolar world order. Happily, the situation is changing in their domain as well – and U.S. President Donald Trump's inaugural speech has demonstrated it overtly. And this changing global environment definitely demands a change in the mindset. The time has come for replacing the “zero sum game” wherever it happened with a “win-win” approach. Russia and the U.S. may still have lots of differences in too many matters, but one thing is clear – there is an absolute enemy for both countries as well as for the whole world, and that is global terrorism. In fighting this common enemy, all responsible nations should join hands whatever bilateral differences there might be. And this explains the developments in Russia-Pakistan relations. Pakistan is an important regional player, having probably the strongest leverage on the situation in the crucial country for the whole Eurasia, Afghanistan. In that sense, it should neither be neglected, nor alienated – no one would actually want to return to the times of 1970s–90s, when Pakistan was the primary force behind the most militant groups in Afghanistan. Therefore, Indians should not fear that Russia's cooperation with Pakistan on a number of matters of mutual interest. This will go on. A much more dangerous situation would be created if such cooperation stopped. 2017 is opening fruitful prospects for the world – Trump's victory and the change of American attitudes to the world being important but not the sole factors for a united stand against terrorism. What is probably more important is the prospect of both India and Pakistan finally joining the SCO, which should give way to the “win-win” approach to regional matters mentioned above. Multilateral cooperation is the only way both to repel the common threats and even solve the existing bilateral problems. One should always remember that Alsace for centuries used to be a cause of tensions and even wars between France and Germany. Now, with the European integration having reached its highest point, no one remembers about this problem, and the Alsatian capital of Strasbourg has become one of the seats of power of a united Europe. Why not envisage such a future for Kashmir? Boris Volkhonsky is the Deputy Head of the Centre for Asia and the Middle East at the Russian Institute for Strategic Studies. Views expressed are personal. Read more of his articles here.